Patrick Guns is an artist who lives and works in Brussels. In addition to working as a sculptor, he works in photography, illustration and painting. 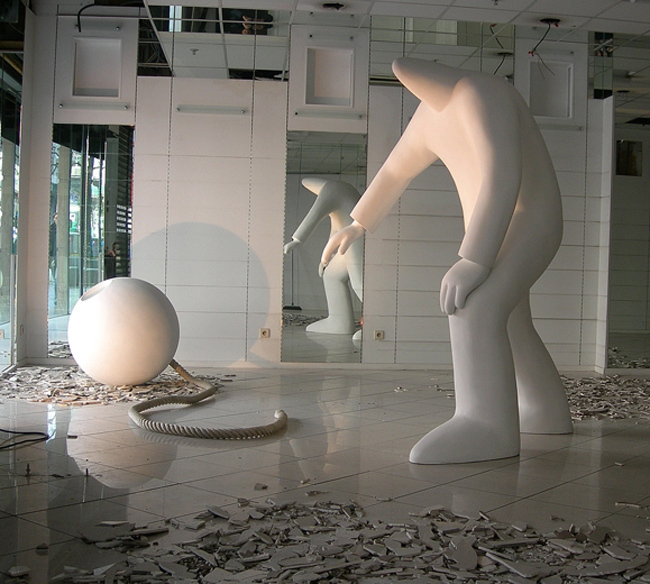 There’s a heaviness to these sculptures, both physical and emotional. Their toy-like cuteness is betrayed by their size and actions. My Own Private Hero (4 top images); The Fading of Colours; Têtes de Nègre; Surprise! (less milk, more cocoa); Himmelblau. You can see more of Patrick Guns work here and here.